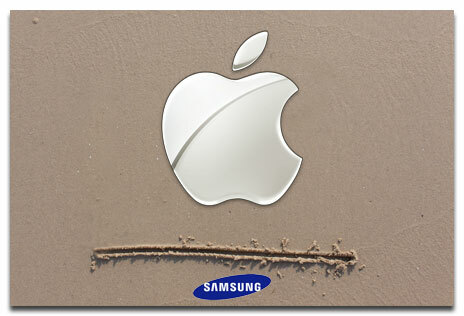 Apple has pointed out its line in the sand...again...for a patent settlement with Samsung: a "no cloning" provision that would allow Apple to sue come the day that Samsung copies its devices...again. In a court filing published by FOSS Patents, Apple said that despite Samsung's attempts to convince the court otherwise, Apple has consistently included a "no cloning" provision in its settlement talks with Samsung. This has always been the crux of Apple's patent complaint with Samsung—the iPhone maker wants the Android maker to stop copying Apple's patented designs and technology. And because Samsung's current success in the smartphone market was initiated by doing precisely that—copying Apple's patented designs and technology—Samsung wants a settlement without such a provision. The two companies have engaged in several settlement talks, both before and after a jury found Samsung guilty of copying several Apple patents. While the post-trial and appeals processes of that conviction are ongoing, another trial covering other products and other patents is in progress, while a third major trial is scheduled to begin in March. Accordingly, the pressure is on for Samsung to reach a settlement, but according to Apple the company's lawyers have been trying to artificially delay imposition of an injunction (which is their job), and they have also been trying to convince a judge that Apple has been willing to settle without a "no cloning" provision. "Samsung incorrectly claims [in its opposition to Apple's motion] that Apple made recent offers to Samsung without anti-cloning provisions," Apple wrote. "Every offer Apple made to Samsung has included limits to both the scope of any license and a prohibition against cloning Apple products." This is important in the minutiae of patent litigation, a demonstrated willingness to license without strings limits the ability of a patent holder to later get an injunction based on that patent. It will be interesting to see if Samsung can prove that to the court, but it would be surprising if it can. In the end, Samsung is likely to have to agree to the provision if it wants a settlement. Then this whole patent fight can go away [until Samsung copies again].